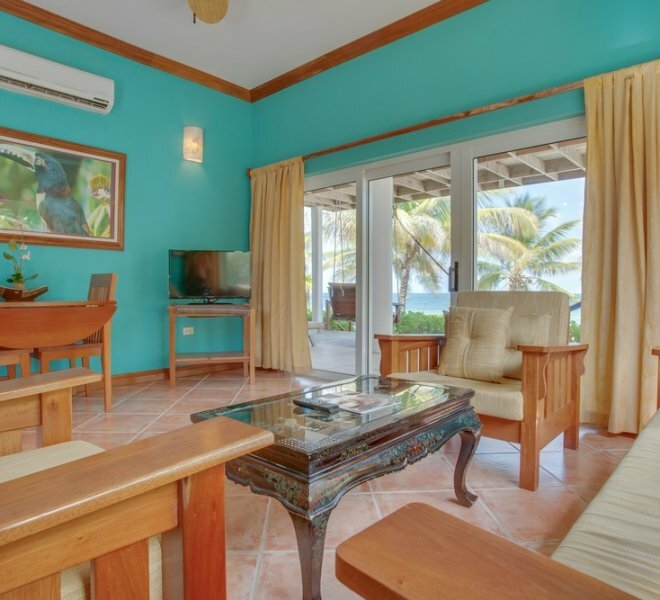 Our sun-filled One Bedroom Oceanfront Suites provide ample space for relaxation and feature stunning oceanfront views just steps from the beach. 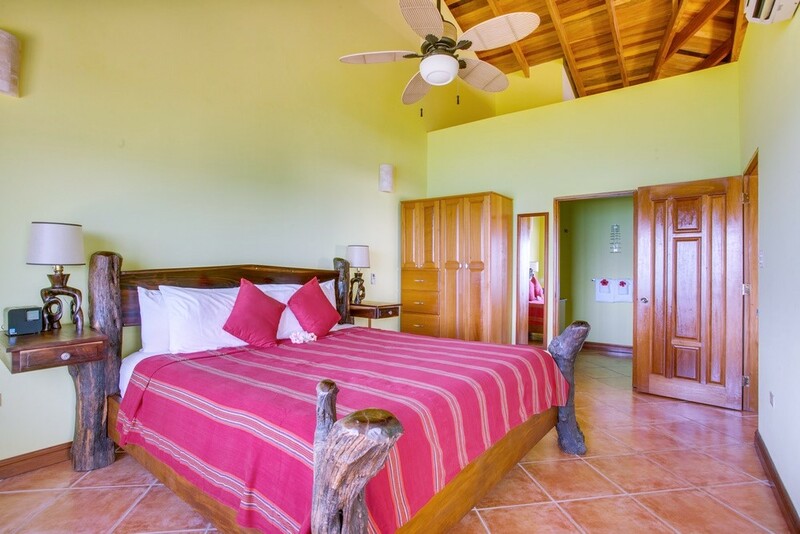 The master bedroom is equipped with a king-sized bed, full private bath, and elegant interiors complete with mahogany wood and handcrafted furnishing. 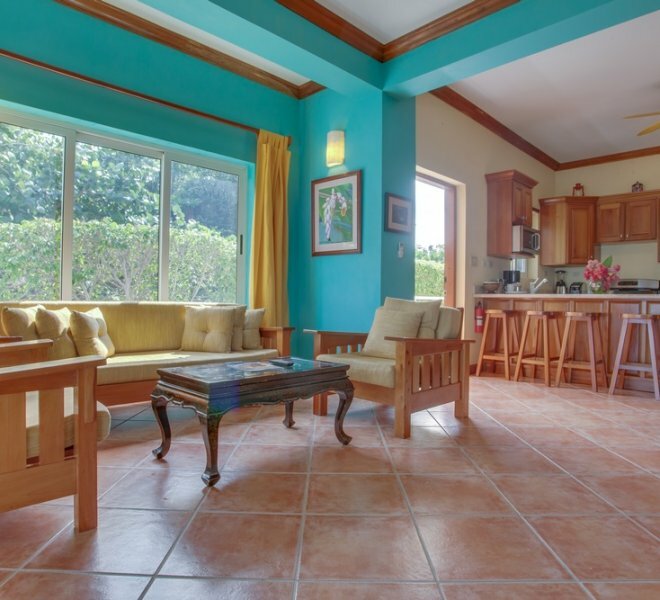 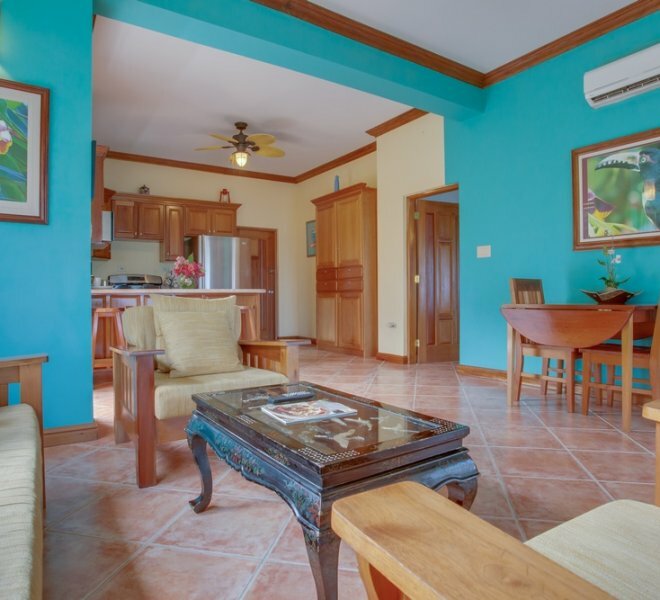 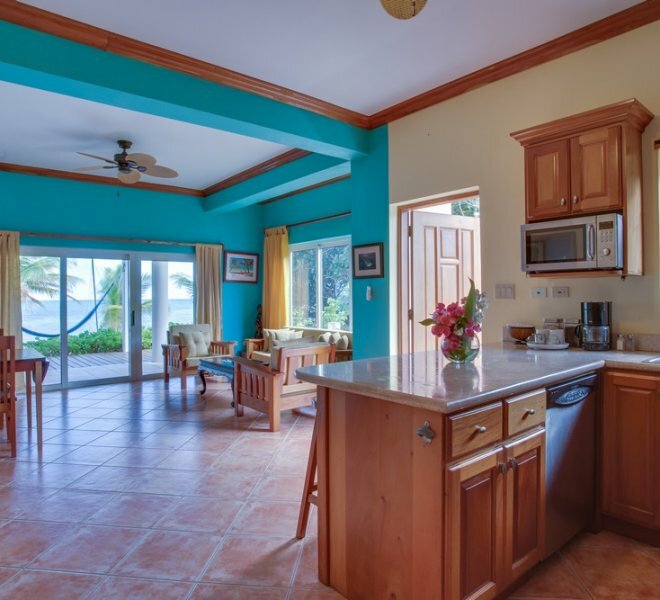 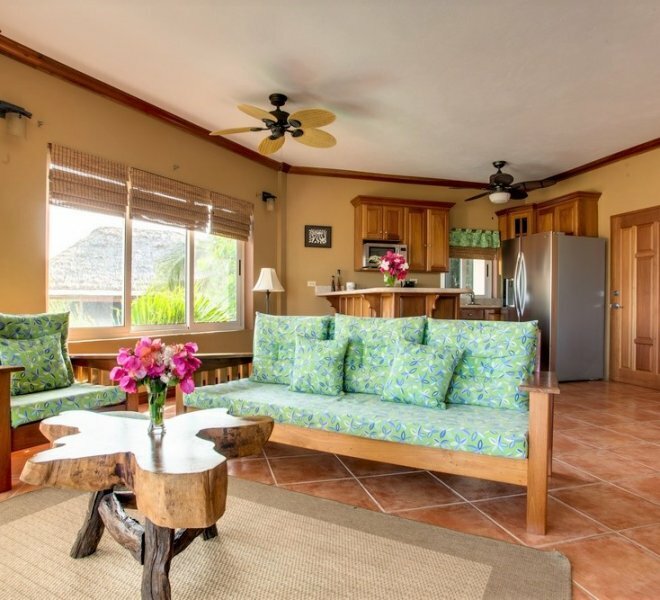 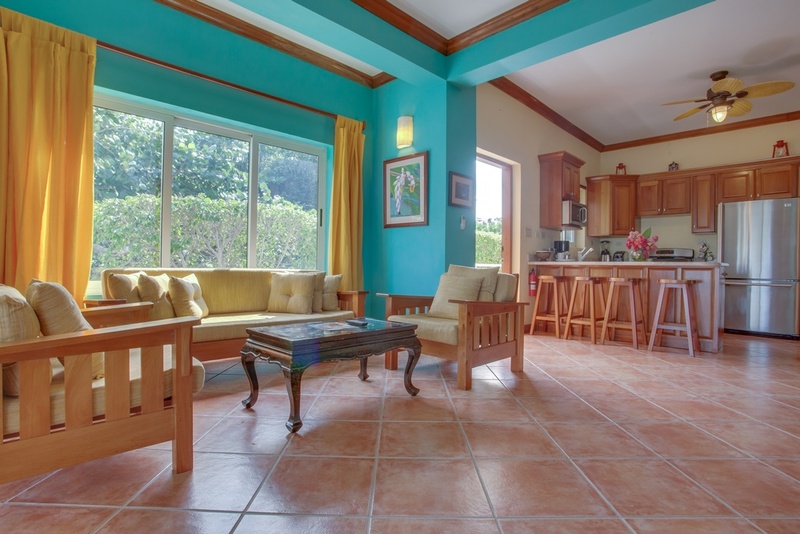 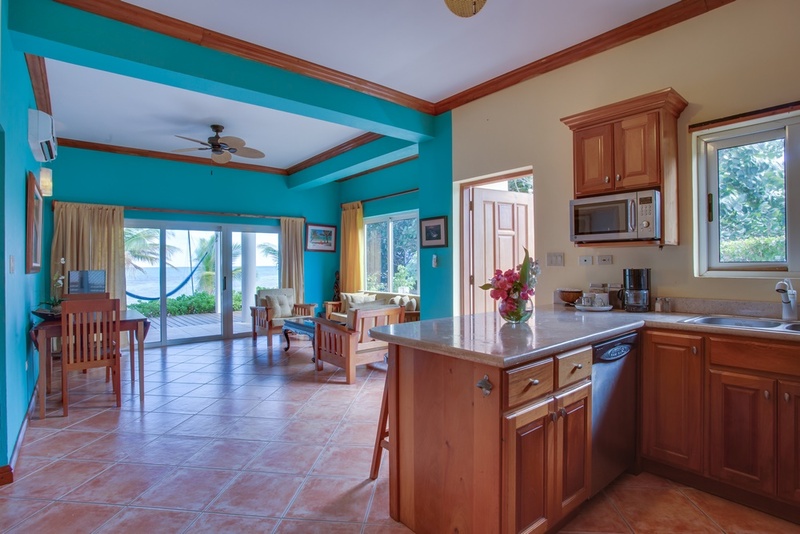 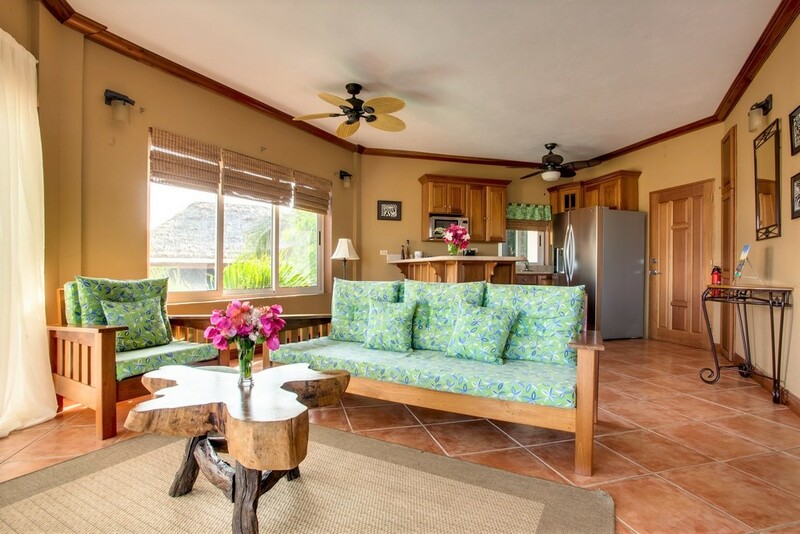 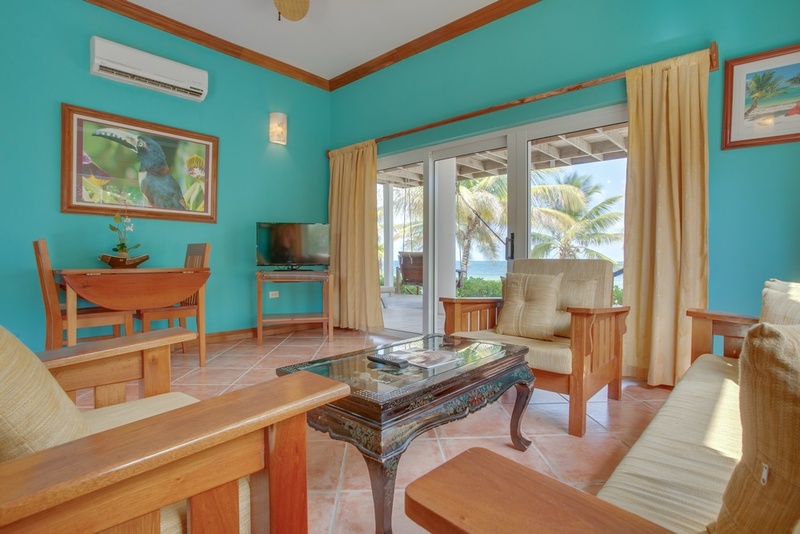 These One Bedroom Oceanfront Suites have added space with a separate living & dining room as well as a fully equipped kitchen. 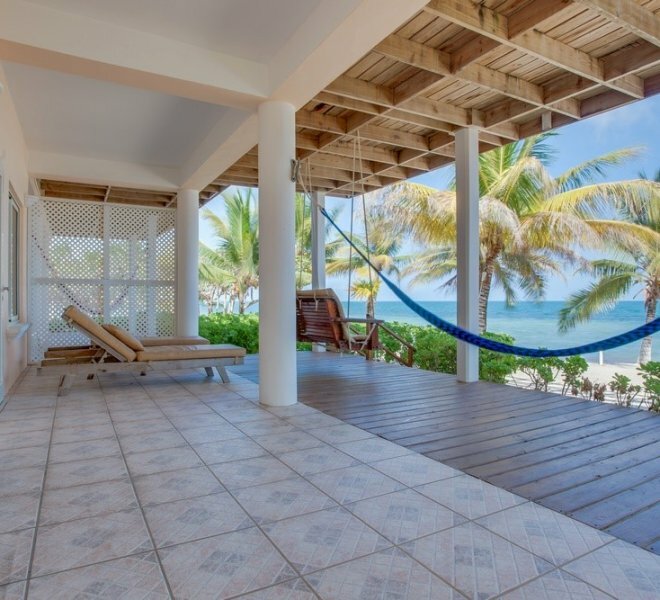 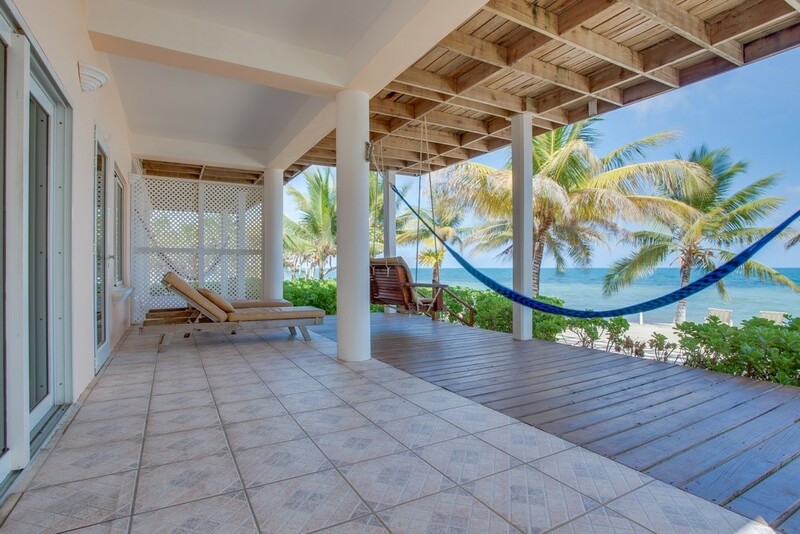 Large glass doors surrounding both the master bedroom and open concept living room open up to reveal an oversized private balcony that directly faces the Caribbean Sea. 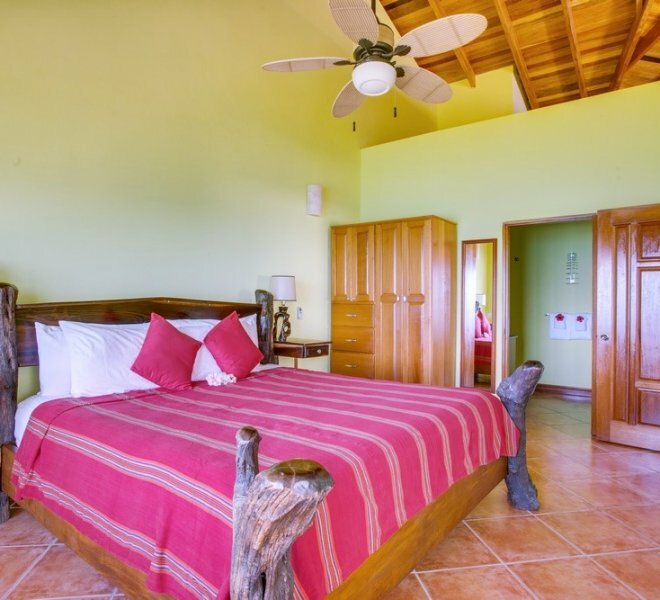 This suite is ideal for couples celebrating a honeymoon or romantic getaway; however, a rollaway bed can be added in the separate living room for an additional person. 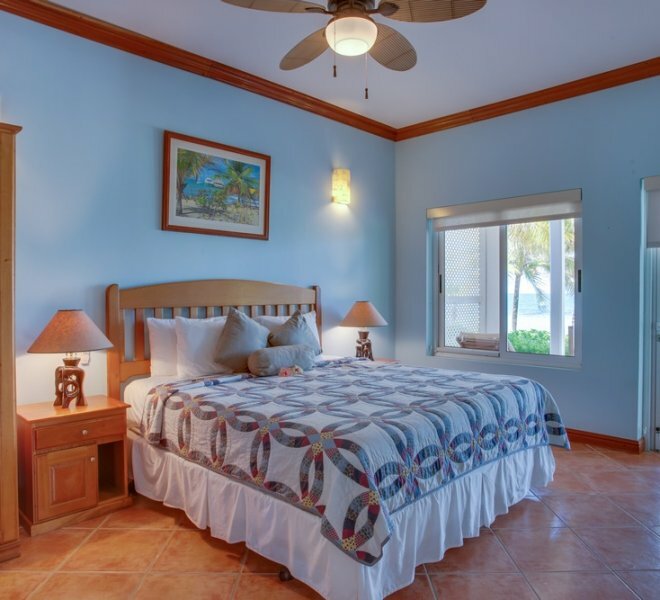 Rates for the One Bedroom Suite are based on 2 guests. 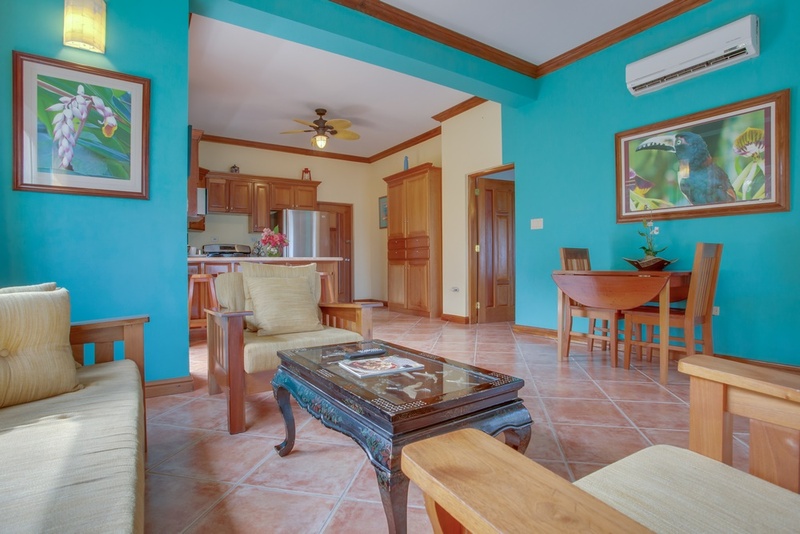 Additional guests surcharge fee of US$30 per night. 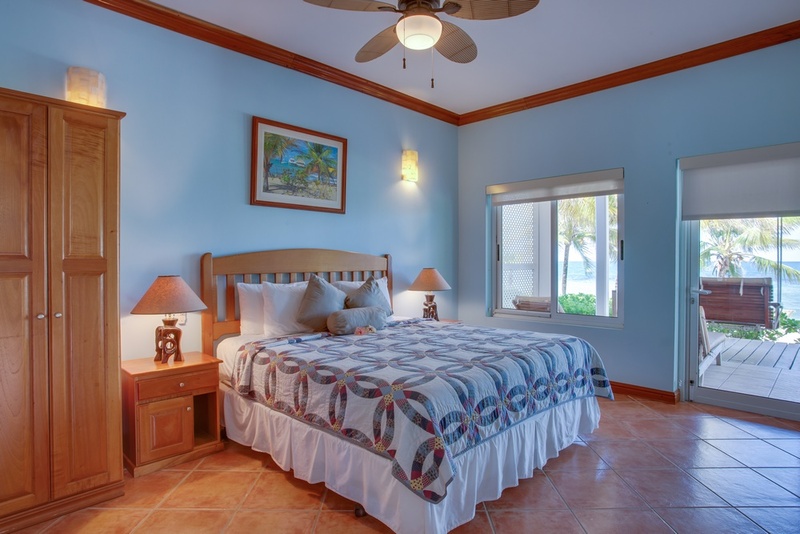 All rates include 10% service charge and 9% hotel tax. 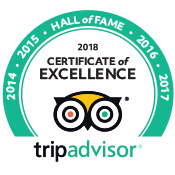 Maximum 3 people.